Gold lost its lustre this week, as it touched to one year lows. Spot gold, which is down over 6 percent this year, is close to a one-year low of $1,211.08 touched on July 19 as the dollar powered to a one-year high on expectations of higher U.S interest rates this year. Gold prices dropped as trade tensions between the U.S. and China resurfaced a day after the Federal Reserve affirmed its intention to lift rates further in 2018. 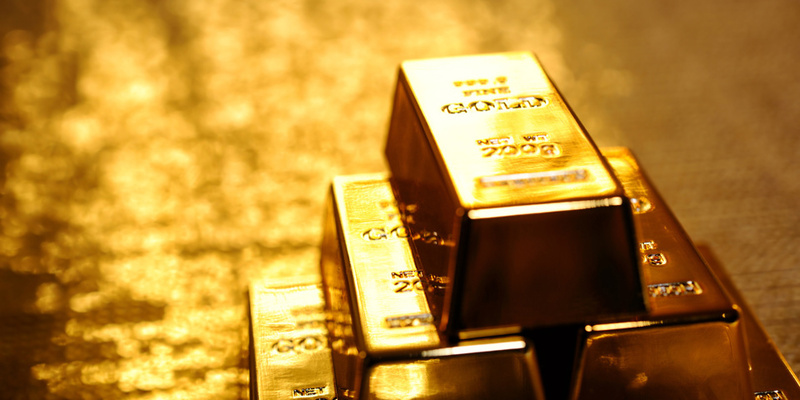 Gold prices declined as US Treasury bond yields advanced alongside the US Dollar in anticipation of a hawkish Fed monetary policy announcement, sapping the appeal of non-interest-bearing alternatives. Crude oil prices likewise fell as the stronger greenback applied de-facto pressure on assets quoted in terms of the benchmark currency . The Fed on Wednesday upgraded its assessment of the U.S. economy and hinted at another interest-rate hike as soon as September. Rising trade animosities between Washington and Beijing were in focus on Wall Street, as the Trump administration threatened to more than double proposed duties on $200 billion of Chinese goods to 25%, up from an original 10%. Interest rate hike and escalating trade tensions are giving the U.S. dollar more buoyancy in recent trade, weighing on commodities pegged to the currency. That has weighed on global stock markets but has provided the U.S. dollar a lift, as global trade tensions have recently flared up. Rates remained unchanged as widely predicted, the statement released following the meeting of the policy-setting FOMC committee sounded decidedly confident on growth and inflation prospects. That bolstered the probability of a fourth rate hike in 2018 to 58.8 percent, up from 56.5 percent recorded a week earlier. Gold is now fighting varied types of rate. One side it’s the interest rate from the Fed, on the other side it’s the import rates and thirdly the Bank of England rates too. Now all these clubbed together will life gold prices or pull it down- we don’t know- but these combined will definitely influence gold prices significantly.